When going to Bali, Indonesia, we had some pretty ridiculous expectations. Now, had travelers from all walks not heralded this famous island in Indonesia, maybe I would have come in expecting less. It wasn’t completely terrible but the conflict between happiness and frustration was there while we stayed there. We spent about a week there between other stops in Southeast Asia and in looking back on it; I have to ask—is Bali worth visiting after all? We visited a few hotels while staying in Bali. Since many can fill up easily, check the best prices on Bali resorts and more places to stay before you go! Is Bali Too Touristy or Too Busy? 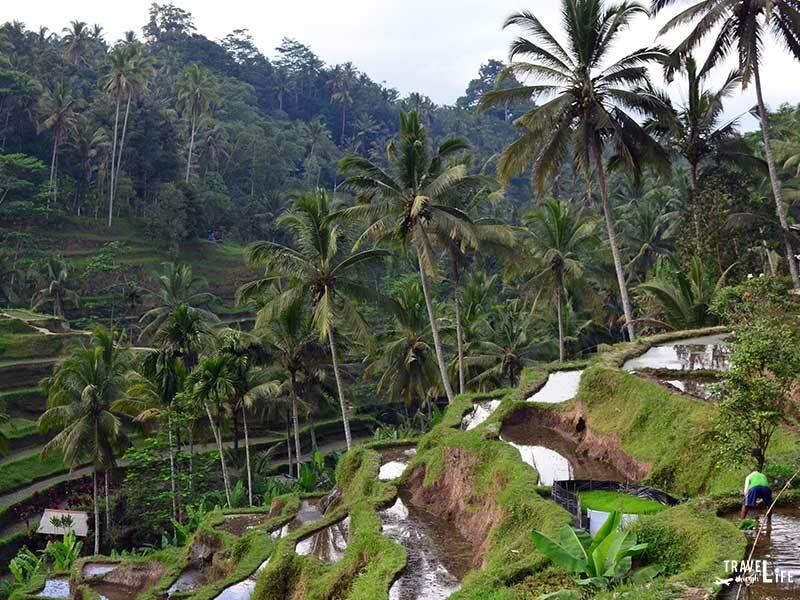 Visit Tegallalang Rice Terraces for a beautiful look at Balinese food culture. We had high expectations long before stepping off the plane from Yogyakarta. Any Bali travel guide you ever look at will be filled with pictures and tales of a wonderful destination that’s filled with peaceful moments and beautiful scenery. Our arrival at Bali’s Denpasar Airport heightened our feelings that this trip would be the best part of our journey through Southeast Asia. The scene was much quieter and relaxed than back in Java. Everything looked really nice on the inside and had tons of space for visitors to casually stroll around. As we headed towards Ubud in a taxi, the car took us through a series of strip malls and touristy-looking attractions. Instead of expecting a quiet, welcoming ride through rice terraces and countryside, I realized that we lowered our expectations as a whole. Walking around various parts of Bali, we noticed that the city centers get very busy during the days. In order to get away from all that, it’s best to find the lesser known parts of Bali or join tours that would take us into nature. Through these ways, the beauty and serenity we sought would soon come. Balinese temples are beautiful and worth investigating. Prices in Indonesia—and most of Southeast Asia—are generally cheaper than in the US and even South Korea but for the two of us traveling on a budget, things seem expensive in Bali. Cheap hotels are still available unless one prefers something more isolated and with beautiful views of rice paddies. Once you witness beautiful rice terraces and can see them while eating or from your room, it starts to factor into a hotel’s pros and cons before booking. Finding a quiet place in Bali is crucial because in some spots, construction looms nearly everywhere. As one hotelier mentioned to us, Jakarta has all the money and Bali has all the land for building. Searching for a hotel in Bali? Check here for the best pricing and availability! A couple of nights after booking our cozy little guesthouse near the main road, Christina and I joined a bike tour that started out near Mount Bromo. That day ended up as our best Bali experience and for many great reasons. 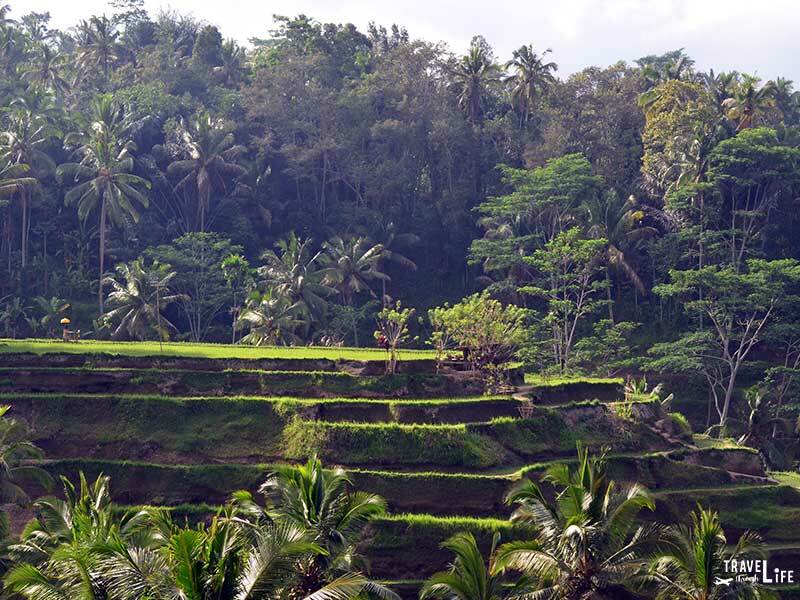 We rode through villages and Balinese rice terraces while guides from Green Bike Tour exposed us to places in Bali that we’d originally hoped to see. 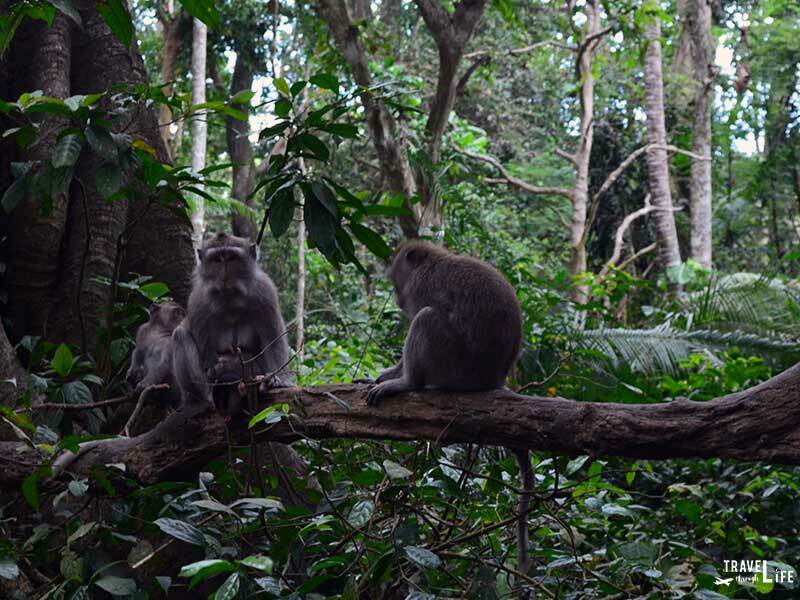 Before we moved from Bali to Gili Air and the boat from hell that took us there, we also spent a day walking around Ubud Palace and the famed Ubud Monkey Forest. 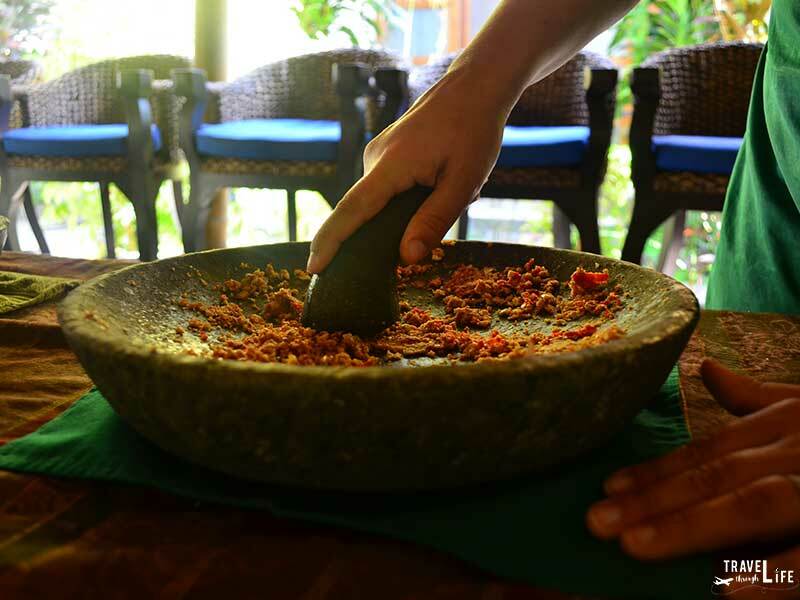 We also joined a Balinese cooking class and enjoyed a truly gluttonous morning. Based on our short experience on the island, we can vouch for there being plenty of things to do in Bali. Looking for more info? Guest author Jeffrey Roehr contributed five fun things to do in Bali on the beach and beyond! We already knew Bali’s restaurants were stocked with foreign food and spent a few meals dabbling in those luxuries. As with most places in Southeast Asia, the food is generally cheap unless it’s foreign and you want to drink alcohol. It’s possible to find some of the best sushi, vegan food, pizza, or whatever else one might want when on vacation in Bali. After a couple of dalliances, we stick to the plan and keep it local. 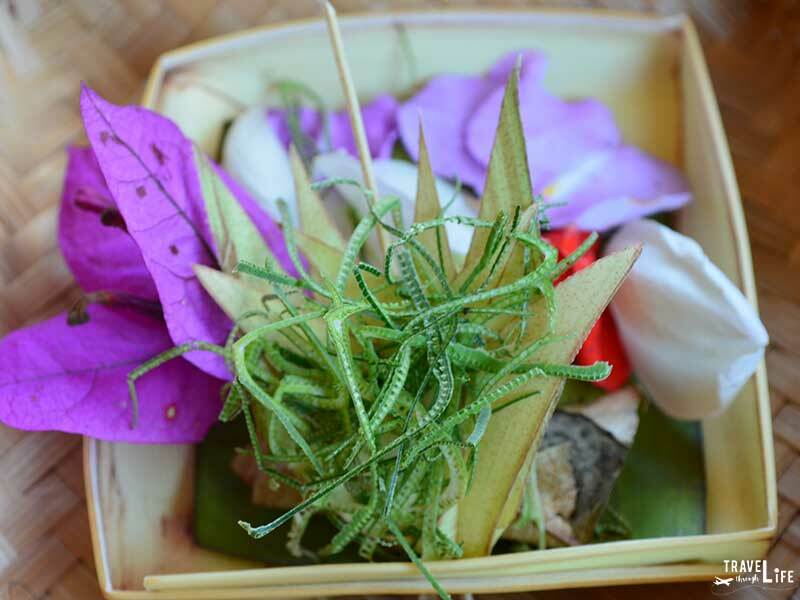 Balinese food is good and available but visitors have to adjust their eyes to filter out all the flashy exotic stuff that catches them. This book about Balinese food goes even deeper into the area’s traditional cuisine and culinary culture. Hanging out at the Ubud Monkey Forest. One can do just about anything in Bali and that’s why the crowds continue to flock and see the place. For nightlife in Bali, many people head to Kuta or Seminyak, and larger numbers are spending time in Ubud. There are many quiet and more romantic places to stay in Bali, including Sanur, Jimbaran, and more. Many people have raved about the Bukit Peninsula or Amed to name a couple more places. It’s so vast that I can’t even think of all the top spots worth visiting in Bali. If you know, I’d love to have a guest post from you about the most famous places in Bali. Many people have asked about when to Travel to Bali and many will point to the dry season between April and October. That was when we went and I have to say that it was quite nice, albeit hot. Between November and March, you’ll be able to find the best deals but will endure the most rain while staying in Bali, so consider that before trying to cash in. Balinese Dance is something you should look for, but in our case, we stumbled upon these girls practicing at Ubud Palace. I wish we had more time for the rest of Bali and maybe that’s where the problem lies. A part of me came out of this experience thinking that more time should’ve been spent in lesser-known places but I still feel like we should go back with more time. Having a week is honestly not enough time to explore Bali. Another major misstep we made was in expecting budget hotels to be on par with the stuff we’d seen in other parts of Asia. If you want that glamorous rice terrace overlook, then prepare more cash for Bali as opposed to other places. The heart of the answer to the main question is that we could’ve gone in with more realistic expectations and an understanding that Bali is a place where you get what you pay for. Book in advance to take advantage of travel deals to enjoy Bali’s nicer hotels. I’m not sure why this is the place I was almost too afraid to write about, and one that I put off for the longest. Frankly, I’m happy that it’s taken me so long to write about this because I can honestly say that Bali is worth visiting. There’s so much to see which can make a trip there overwhelming and easy to mess up. Maybe next time when we bring our daughter, I’ll get it right but until then, I still have some pretty nice memories of our travels to Bali, Indonesia. 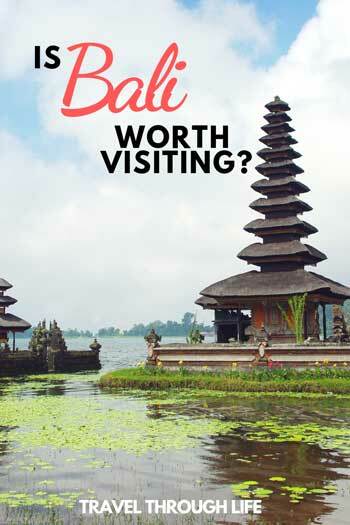 Do you want to visit Bali? If you’ve already traveled there, which parts did you stay in? Overall, how was your Bali trip? I’d love to read your thoughts about this post in the comments section! 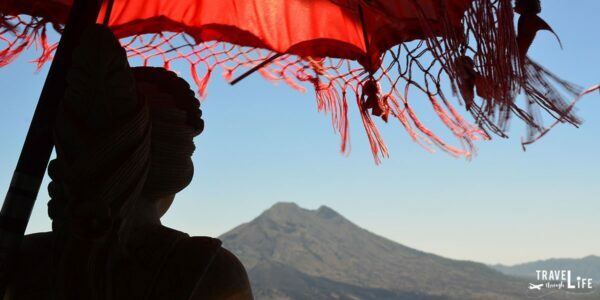 This Bali travel guide is part of our series on Indonesia Travel, Asia Travel, and Southeast Asia Travel. It was originally created on January 1, 2016. It has been maintained and updated (as of December 27, 2018) to reflect current viewpoints and travel trends. I went to Bali in 2012. Thankfully, I had an Indonesian friend who was my personal guide for my 4 days there. I had a wonderful time. I may be planning a return trip in 2020 on a bicycling tour away from the main tourist sites. Thanks for stopping by and for sharing your previous experiences in Bali. I hope you enjoy your next trip there and would love to know how it went. Cheers. We lived in Bali for nearly two years, fours years ago. I’m heartbroken at the massive development and over touristing that’s been going on for years. That said, Bali is something to be experienced. 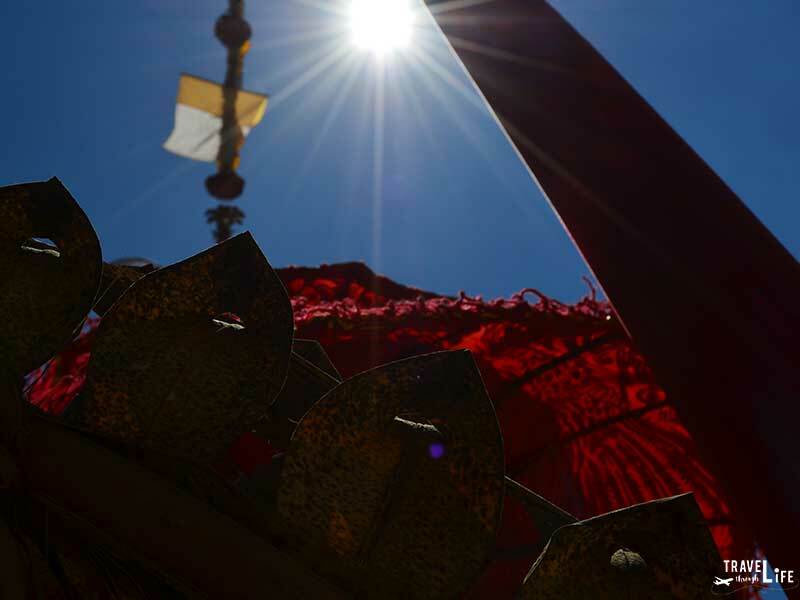 You never know what religious events, cremation ceremonies, holy days, etc are happening and they are truly something to witness. A friend of mine went to Bali on her honeymoon about 16 years ago. It was not such a “thing” then and it seemed a surprising choice at the time. It was far less touristy and crowded than it is now. They certainly did not rave about it as a destination, and I’ve never had the least desire to go there, honestly. I have a friend who led a yoga trip there recently, and they had a great time, but she worked very hard to plan every single detail to give her clients a great experience, which was very much focused on yoga. If someone gave me a free ticket, and I had the time, sure I’d go, but I can think of so many other places I’d rather see. And if I did go, I’d get as far away from the most touristy area as fast as I could. I’ve found that to be the best thing to do in any place that has recently become a popular tourist destination because of its natural beauty. Get away from the crowds and cheap hotels asap! Wow. What an interesting story about your friend, Jean! Thank you for sharing that. I do hope you get to make it to Bali and to one of the less-crowded areas, too! Good blog. It is hard to write about a place when it doesn’t meet expectations. I would like to write about my time in Pattaya, Thailand, I hav no great expectations so I wasn’t disappointed but I honestly have nothing nice to say about the place. Difficult for me when I was bought up on the moto… “if you have nothing nice to say, don’t say anything! About Bali – It really depends on what sort of holiday you want, to where you go. I have stayed Kuta, Legian, Seminyak, Canggu (aka Echo Beach) Lovina, Ubud, Medewi, Gili Air and Lembongan and I spent a month anchored in our boat near Sanur. In my opinion Bali has it all you just have to go to the right place for example Kuta is now full of modern buildings, shopping malls and western food – if that’s your thing you love it (not mine!). Head to Canggu for beach, surf and a chilled atmosphere, and you can’t beat Gili Air if you wan to chill out i n paradise! Those are just examples – It really has something for everyone. Hi Kelly, thanks for stopping by! Gili Air was awesome and I also loved Nusa Lembongan. Did you get a chance to visit there? As for Bali, I’m thinking more specifically to Ubud that rubbed me wrong at first, though I warmed up to it after a bit. Maybe I’d just built Bali up in my head and left the expectations meter too high. Ah well, I’d like to return and explore more parts like Jimbaran and others. Any thoughts on that part? I’m almost in tears reading how what was a paradise to me has become such a kitsch destination! I was in Bali twice, in 1984 and 1987, as a so welcomed pause amidst travelling across Indonesia, and still dream of the laidback life you could spend there: Ubud was just a crossroad where we could stay in a private home-turned-into pension, have breakfast on the old wooden table the grandparents had left to the patrons and eat jam from a glass jar. Schools of art in Ubud where full of children sitting on the floor with their sketch albums, and one of them presented us with a beautiful drawing of local birds which is still hanging in my daughter’s bedroom. Kuta was a relaxing place with just 4-5 little shops of tourist stuff, and we stayed in a pension in a secluded lane where the housekeeping was done by a bunch of male teenagers who lazily swept dust from one place to another; we creeped through the gate of one of the 2 or 3 posh hotels and stayed for free on the grass near the beach, where massage ladies with a wooden basket bearing each a number, and cone-shaped hats did their job for 2 dollars. A car with driver for the whole day was just around 30 USD. Still, we where already regretting that we couldn’t see the Bali that was discovered by pioneer travellers back in the ’30s. So, I think one shouldn’t avoid visiting that wonderful island, and just try to go where not so many people go, to grab what is still available of the genuine Bali. Wow, Leonardo. I’d love to hear about your time there in more detail sometime. Hell, I’d even love it if you came on with a guest post about the differences in Bali back then and what people are saying now. Either way, I’m very happy with your thoughts on the place back then and hope you get to revisit it and feel the same fondness as before. Thanks for stopping by and I hope to stay in touch! I enjoyed the article Duke, I’ve also written about surviving the disappointment of Bali (although, for me it was the arrogance of tourists that set my pen ablaze). I’ve been to Bali twice, each time only for a short stop before venturing elsewhere in Indonesia. As you suggested, the island as a whole does have some things to offer, but the heavily developed tourist hubs of Kuta and Ubud really make it a difficult place to love (and certainly not the best choice for families). Denpassar is, however, a brilliant springboard to more amazing Indonesian islands – I’d recommend Flores (for diving, culture, sights, and Komodo Dragons). 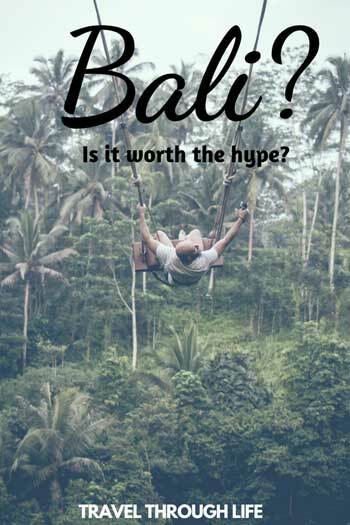 Bali might be less appealing than it once was, but perhaps that’s because of the clientèle attracted by cheap airfares (particularly from Western Australia where the island is seen as a no rules, no responsibility party destination). Hi there, Einstein. Such a cool name, btw. I do agree with you about Ubud and couldn’t really elaborate on Kuta, though just about every Aussie I met said to stay away. It never fell into our plans as we went on to Gili Air for about a week. Shew, I can’t tell you how many times I wanted to approach someone about a trip to Flores but we just never had the funds/time to do it. Maybe next time. Have you written about Komodo? I’d love to read about your trip there and see some photos of those magical/dangerous komodos. Thanks so much for stopping by and leaving this kind and thoughtful comment. All the best until we talk again. Bali isn’t up there on my list of must-see places, but probably because of the book Eat, Pray, Love. After Gilbert’s book came it, Bali was talked a lot even more than usual a travel mecca and a place to find one’s self. Gilbert’s book was okay, but rubbed me the wrong way at times. Yeah, it great to be able to find one’s self on a budget like hers 😉 If bet if you have more time to spend there, the experience would have left better memories. That can be said of most places. I’ve been wanting to read the book just to see what she was raving about. I know that it was part of a bigger story but yeah, I didn’t have the cash to spring for her style of trip. We were going at it from a budget perspective and maybe that’s one of the tough ways to go into Bali. If we’d had more advanced notice on where we were staying and whatnot, it would’ve been more doable. However, we kinda went in booking a few days in advance. Either way, I still want to give it another chance. I don’t know why but maybe I really just want to figure out more about Bali. Have you ever had that happen? Didn’t you have mixed feelings about Yosemite? I have been looking for an article which talked about the ugly side of Bali since two years and glad to have found your post! I went to Bali for my honeymoon and stayed in a plush villa at Seminyak! Still, the experience was bad and we regretted going there. Apart from our villa, nothing seemed right during our one-week vacation. The beaches were filthy, food was tasteless and the bad weather was another icing on the cake. We went in February and the scorching sun burnt my skin while the food made me sick. Although now when I look at it I think we shouldn’t have stayed at Seminyak which was way too touristy and crowded. We did our research but went to all the famous eateries and sights, which are a trap most of the times. I believe Bali is beautiful and you need to find the right place to stay and explore. Next time I would take a scooter and head out randomly to find out the hidden gems! Hi Anupriya, I certainly agree about finding a nice place by scooter. That might’ve been my mistake as well because Bali was one of the few places where we didn’t get a scooter. I was scared off by all the scam stories but shouldn’t have been. I hope you get to go back and find some of those gems you were talking about. Thanks for commenting! Hey Laura, thanks for stopping by and leaving a comment. I wanted to visit Kuta and the southern parts but we were a bit limited on time and places had to get cut. I’d still like to go back and explore those places but will keep in mind what you said about Seminyak. We only spent a few minutes outside Gili T so I can’t really speak to it but Gili Air was such a wonderful time! If my wife hadn’t gotten sick, we might’ve explored the Gilis a bit more. There’s always next time though, huh? Thanks for leaving your link there. I’ll gladly check it out and have a look from time to time to see any updates you have. All the best to you and I hope you enjoyed the read! I’ve never seen dirtier beaches than the ones we saw in Bali. It was appalling. We spent a month there and in the Gilis. Not a highlight of our round the world travels. I could never recommend Bali to anyone- but your point is taken about its all about what you can afford in Bali- the beach in front of the W Hotel was spotless. Thanks for stopping by! What did you think of the Gilis, btw? I felt like it was much nicer (Air) for us and really became that chill place we were looking for. What would you say were your top spots when traveling? I’d love to hear more but until then, all the best to you and your 2016! I think it depends on the time of year as to whether the beaches are dirty or clean. I was in Kuta at the start of November and it was perfectly clean and nice: just as nice as Phuket, Thailand – although I had read that it was very dirty around January due to the tides. I think you’ll agree that my photos show little to complain about: http://anaussietravels.com/2015/10/30/kuta-the-cesspool-of-asia-or-just-a-really-good-time/ . I would definitely also go back again at the same time of year: although some people think it’s rainy season then, it definitely hadn’t started yet and every day was sunny, dry and 33 degrees. Bali was a big nono for me and I even questioned my love for travelling after seeing what we (foreigners) have done to it. There are a million other places where you can find the good side of Bali without having to go through the ugly side of Bali. It’s turned into a big tourist trap, including the monkey forest and some of the rice terraces. I had similar feelings while there at times, Paula. I kept referring to it as a place where the tourists won. I’d love to hear your thoughts about the lesser-known spots in Bali and where you’d recommend for a future visit. Until then, thanks for stopping by Paula. All the best to you and your 2016! I hope my post didn’t sway you too much. I think Bali was awesome in its own ways but was definitely not as cool as others that we visited that are close by. Have you thought about visiting Gili Air or any of the other Gili Islands? Thanks for commenting and I wish you all the best during your trip! After being in Bali for a year now, I have just started to warm up to the place. I was not so fond at first, but I can now say that Bali is certainly worth visiting. It is easy to get caught in the wrong places as Bali is a big island. My suggestion to everyone is to do your research before you come, especially if time is short. Great article and happy travels! Thanks for your kind words, Reinardt. It’s interesting that it’s taken you a while to warm up to Bali. Whereabouts are you staying while there? I’m always wondering about the best parts to visit and realize that this might jeopardize anything that’s lesser-known. Anyway, much appreciated for stopping by and saying hello. Hope to stay in touch and wish you an awesome 2016! A very honest post! It’s always a bummer when a place doesn’t quite meet your expectations, but at least you were able to have some great experiences while you were there. I’m sure I would’ve enjoyed that bike tour through the island… sounds like it’s right up my alley! I’ve heard good things about the Gili Islands as well, what did you think of your time there? Really appreciate your thoughts on this post. Bali was a mixed bag for us and maybe the awesomeness of our other experiences in Thailand and other parts of Indonesia helped further that. Btw, Gili Air rocked and I wish we had some time to chill out on Meno for a while. That place is perfect for just zoning out and doing nothing. Thanks for the comment and btw, how’s life in NZ treating you? Take care and all the best for your 2016! As an Australian, I personally put off going to Bali for a long time because of all the hordes of Australians who visit there. I knew a lot of it would be touristy, over-developed and full of drunk tourists. But I was pleasantly surprised when I finally visited. Okay, my first visit was on my honeymoon and we were staying in luxury digs (and spending a lot). And my recent second visit was very brief, as I was on a media trip. But I would love to head back there for a third longer visit, maybe spend a few weeks chilling in out of the way places! Likewise! I’ve never wanted to go and I’ve been seduced into trying it this August as a means of escaping Melbourne’s winter for a week. I’m a little apprehensive but I certainly don’t have any great expectations. I’ve heard the food scene has improved a lot in Bali. Shandos, I think a longer stay and in different spots would be ideal. I’d like to explore areas that are lesser-known if I go back. I like that you’ve different types of visits and would love to hear your perspectives on them all. The food scene is pretty good, Michelle. 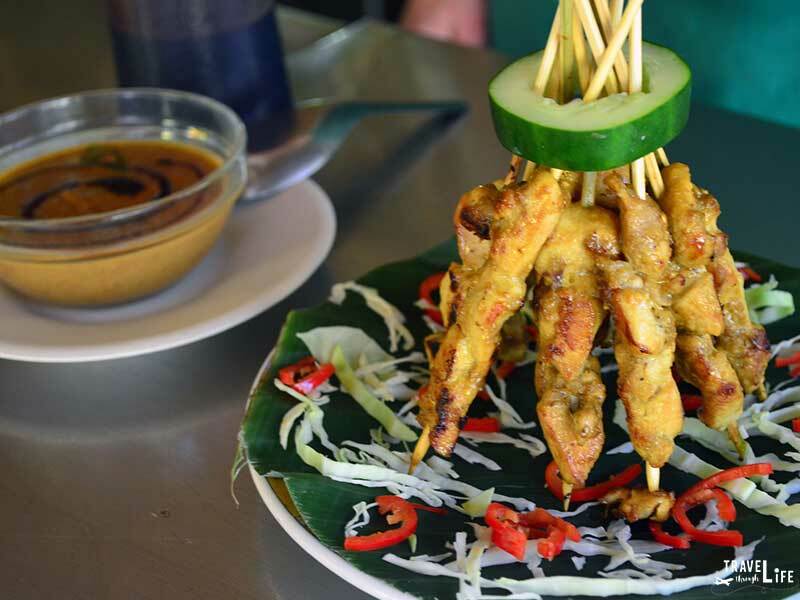 There are tons of options that are local and not that would impress just about any foodie. I hope you enjoy your trip and don’t take my views as being overly negative. There were some awesome parts of our trip and I’d actually like to go back as soon as it’s possible. Either way, I thank both of you for stopping by and leaving a comment. Take care and all the best. Duke, thanks for linking in to my Bukit article! Even though I got sick in Bali, I really enjoyed it. The monkey forest was definitely a highlight for me, as a photographer. Loved the rice terraces, just wish I was feeling better so I could have explored more! I’d love to go back. I’d probably go back but just not to Ubud. I think there’s so much more to the place than there but yeah, those rice terraces are certainly inviting. If I were to ever go back to Ubud, it’d be just for that. I’m sorry you got sick while there. Christina had the same thing happen while we were in Gili so I bet she can definitely feel ya there. Thanks for the comment, Megan. Hope to stay in touch!